Khatera Sahibzada, Ph.D., is an industrial/organizational psychologist and executive coach. She specializes in leadership development, talent assessment, and performance management. Over the course of her career, she has consulted with employees at all levels of the organization and has partnered with clients in the European Union, Japan, South Korea, Mexico, and China. Her clients have ranged from start-ups to Fortune 500 companies spanning the globe across a broad range of functions and industries. Her work has appeared in Fast Company, Entrepreneur.com, TechCrunch, CNN, World Economic Forum, Los Angeles Times and the Washington Post. 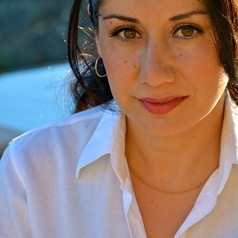 In addition to her consulting work, Dr. Sahibzada teaches graduate courses at the University of Southern California (USC). She also serves on the Executive Committee of the Business Council for Peace, a non-profit organization which helps entrepreneurs in conflict-affected regions grow and develop their business.